Earlier this year, Jon’s mom and sister traveled to Italy and brought back an authentic Italian cookbook for him. Many of the recipes are rather involved, but every once in awhile, he gets inspired, rolls up his sleeves, and dives in. This time he pulled out a recipe for tomato sauce to help us deal with the overabundance of tomatoes from our garden. 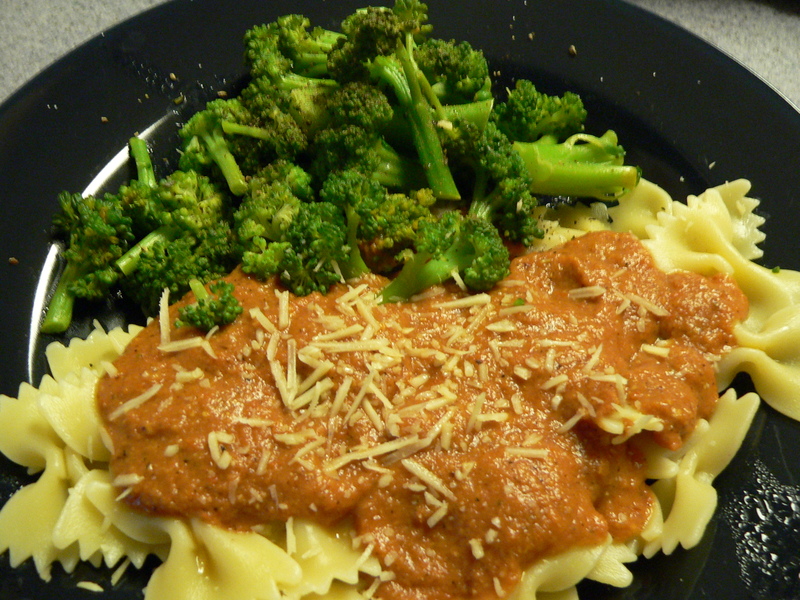 We made the sauce earlier in the week for fish fillets and reused with bowtie pasta, al dente, and fresh steamed broccoli from the garden.